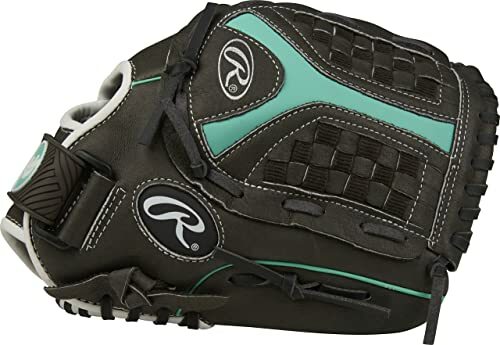 Many companies make softball gloves for youth players, but Rawlings is one of the most reputable ones due to their high-quality models. The Storm model for youth is a full-grain leather glove that comes with a softball specific pocket with the Sure Pocket design that will make it easy to close and control for the young players. And it also has sufficient cushioning and padding on the palm and fingers for ball impact protection. Also, this open back glove comes with a Velcro strap that will provide a comfortable and custom fit. 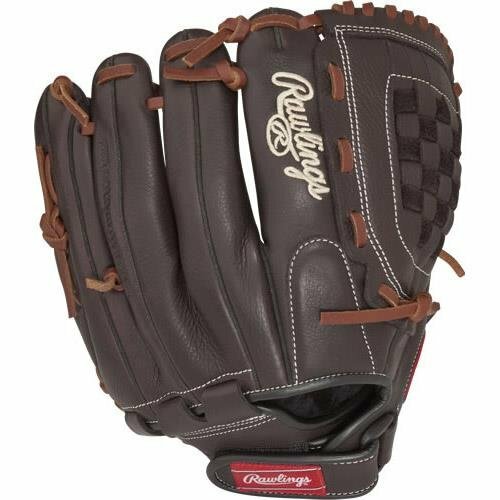 Material: Rawlings uses a soft full-grain leather material to make these gloves, and it not only makes them long lasting but also more comfortable on the hand. Pocket: This glove comes with a softball specific pocket design, and it will be suitable for use in a variety of positions such as infield, outfield and also for pitchers. Sure Catch Design: The Sure Catch design is one of the highlights of this glove as it makes it easy to close and also gives the young player more control when catching the ball. 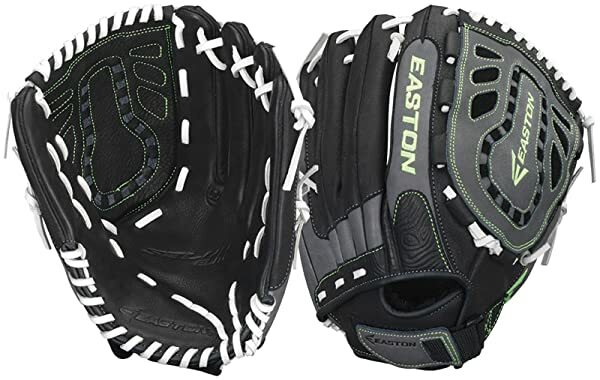 Cushioning: Youth player will not have to worry about the sting that comes from the ball impact as this glove comes with a palm pad and finger cushioning. Also, the padding and cushioning make the gloves more comfortable. Velcro Strap: Storm Youth glove comes with a neo-flex conventional open back design and with a Velcro strap that will make it easy to get a custom and secure fit. 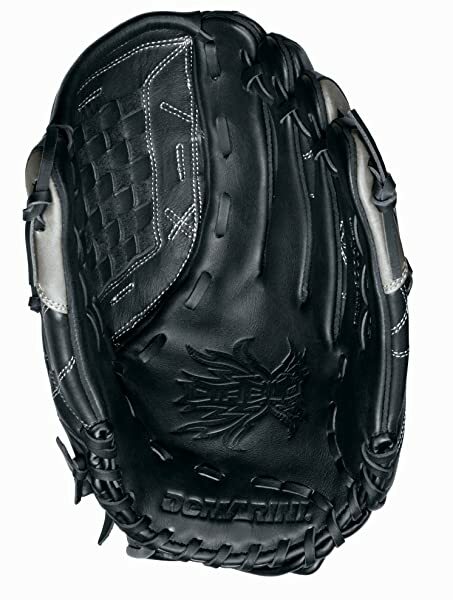 Full-grain leather makes this a long-lasting softball glove. 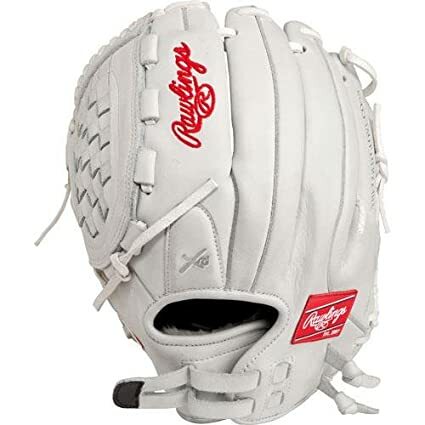 This soft leather glove is game ready when you get it thanks to the 100% factory break-in. Cushioned fingers and palm pads help to make the glove very comfortable. Sure catch design and a funnel web makes the glove easy to close. Velcro strap provides a custom fit. It is available in 6 different youth sizes and for both left and right-hand throw. You can get it in three lovely color combinations. The design and size make it an excellent glove for small hands. There are a few complaints about the colorways not being the same as they appear in pictures. Still not as durable as the expensive and high-end gloves. It might not be very comfortable for youth players with larger than average hands. The Rawlings Storm Youth Fastpitch Softball glove proves that you do not always have to spend a fortune to get a high-quality glove. But what most players will love about it is that the soft full-grain leather is game ready when you get it thanks to the 100% factory break-in. Also, it is lightweight, flexible and effortless to close thanks to the Sure Catch design. Everything else from the Velcro straps, to the palm and finger padding and softball specific pocket design, also help to make this a more comfortable and easy to control glove. However, you cannot overlook the few shortcomings such as the colors not being precisely how you see them in the pictures. But all in all, this is a top-notch softball glove that will last a fastpitch player for long enough.